Before you obtain your Commercial Driver’s License, or CDL, you must obtain a Commercial Driver’s Instruction Permit. It is possible to renew your CDIP in every state, and the process is generally straightforward. The exact procedure for getting a CDL permit renewed, however, varies from state to state. CDL rules are overseen by each state’s individual department of transportation. Your CDL permit will be valid for a period between five to eight years and can be renewed if needed. Requirements for renewing a CDL permit varies from state to state. Check with your state's Department of Motor Vehicles for information on how to renew your CDL permit. Before you go to the DMV/BMV to renew your CDL permit, it is a good idea to check online to see if you will have to repeat phases of testing for your primary CDL, class A, B or C. There may also be other paperwork that you will need to complete. When you are changing a class or adding any form of endorsement, you will need to undergo further testing, regardless of what state your permit is in. If you are looking to get your CDL in a different state, you cannot transfer your CDL permit. This means that if you move, you will need to get a new CDL permit. You will need to turn in your old CDL because you cannot have two drivers' licenses at one time. 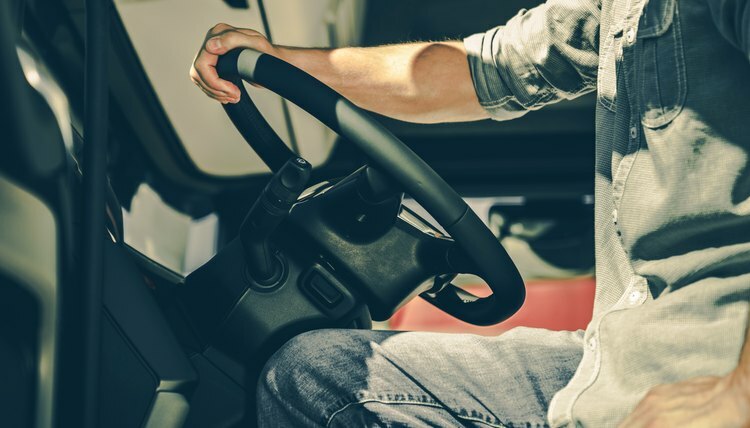 Generally speaking, all applicants must hold a valid Class D license – license to operate any noncommercial vehicle – or a junior operator’s license for at least two years. In addition, they will need to pass a vision test, a commercial driver instruction permit test and be at least 18 years of age. The CDIP test doesn’t involve driving. The written exam is given to allow a person to get what is, in essence, a learning permit. There are separate training manuals that can prepare you for your CDIP test. Every state is different when it comes to renewing a CDL permit. In most cases, it is easier to renew your driver's permit before the expiration date has been reached to avoid a lapse of your license. This is important if you use your CDL for work, as allowing your permit to lapse could prohibit you from continuing to work. If your permit has expired, be aware that you may have to take the entire test for your CDL permit again before you can get a new one. The odds of this happening go up the longer you allow your CDL permit to be expired. This includes any applicable fees for your application. Application fees may be waived for veterans, school bus drivers or other government employees. To find out if you are eligible for waived fees, check the DMV/BMV laws in your state. If you are upgrading your permit, you must present a valid Class AP or BP instructional permit. Once you have this permit, many states require a waiting period of a few weeks before applying to upgrade to a full CDL. Once you know what you need to provide to the DMV/BMV, simply go to an office in your area and state that you wish to renew your CDL learner's permit. You must provide your old CDL, insurance information and, in the case of some states, additional identifying information such as a Social Security card, proof of residence or a regular passenger driver’s license. If required, you will then need to complete all tests or examinations as dictated by your state. Some of these tests include a vision test, written exam or a short driving exam. If you have any particular endorsements, you may be required to take those tests again to renew your specific classification of CDL. Please be aware that some states require a fee to be paid per endorsement. Check your state’s requirements to be sure. After you’ve passed, you will be required to pay whatever fees your state requires. The Commercial Driver’s Instruction Permit is a permit that allows you to take driver’s training courses. This permit allows you to drive any motorized vehicle on any highway as long as you have someone with a CDL license with you. This license holder must be able to prove that the license is valid and pertains to the vehicle that the permit holder is driving. When you pass all assessments and have obtained your CDIP, it will be valid for six months. Note that your CDIP can only be renewed one time within a two-year period. This means that if you need two permit renewals over a four-year period, you will need to retake all assessments and qualification exams and reapply for a new CDIP. As is the case with every driving law, the process for renewing your driver’s permit can vary from state to state. To be sure that you have everything you need to get your renewal processed in a timely manner, check with your specific state’s DMV or BMV website before going to the office. In almost all cases, you will need supporting documentation along with your expired or soon-to-be-expired learner’s permit before your request for renewal can be processed. This means that you will need your proof of identity in the form of a valid and notarized birth certificate or a valid U.S. passport. In many cases, a valid U.S. passport can count for your proof of identification and your proof of citizenship. You may also be required to provide proof of residence in the form of bills or official mail in your name with the address listed. In most cases, the fee for renewing your permit is at or below the $20 level. However, some states are different than others so look at the specific requirements of your state before getting your permit renewed. Some states also allow you to schedule an appointment to renew your permit. This is advised if you live in an area with a dense population or if you know that your local DMV/BMV is crowded. Be aware that you may have to retake written and or vision tests when you renew your license. Unless you are completely certain that you do not have to retake tests, it is best to come prepared and know that you may need extra time to get your renewal completed. Depending on your state, you may also have to fill out an application each time you renew your learner’s permit. It will require you to share your name, address, permit number and other identifying information. When you attempt to renew your permit, come prepared to go through the process of applying for your permit again. Assuring that you will have time to not be rushed can be critical if you have difficulties with written exams. If you require any interpreters or any aids to help you take your test, call your DMV/BMV to make certain you will have everything you need. If you have any further questions, your best course of action is to contact your local DMV/BMV to be sure that you will have a smooth experience when you renew your permit. Allstate Career: When Do CDL Permits Expire? Smyth, Danielle. "How to Renew My CDL Permit." , https://legalbeagle.com/12497243-how-to-renew-my-cdl-permit.html. 21 February 2019.